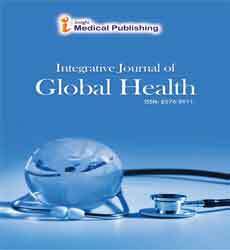 Integrative Journal of Global Health is a peer reviewed journal that focuses on providing insights into various aspects of health care, public health and health education research and practice, that is intended towards improvement of health standards of people across the globe. The journal publishes recent findings on medical diagnostic tools, environmental health, nutrition, non-communicable diseases, emerging communicable diseases and their socio-economic impact. The aim and scope of the journal is very wide and includes health issues related to water and sanitation, infectious diseases, adolescent health, child health, maternal Health, stress, fitness, yoga, diabetes, global and region specific mortality rates, HIV/AIDS, Obesity, diet and the growing impact of air, water, soil and noise pollution. The journal also publishes critical analysis of the rules and guidelines concerned towards improvement of health quality and their time to time amendments made by international health agencies such as the World Health Organization, UNICEF, World Food Program and the United Nation. The journal welcomes the publication of expert opinions as well as proceedings and outcomes of international global health conferences. The editorial manager system facilitates a user friendly article submission, review and publication. Manuscripts that are thoroughly peer reviewed would ensure the best standards in the industry. The goal of this journal is to provide a platform for scientists and academicians all over the world to promote, share, and discuss various new issues and developments in different areas of Global Health Research. The articles will be managed electronically, examined by a scientific committee and anonymous evaluators and published every month in HTML and PDF formats. General health is a state of complete physical, mental, and social well-being, and not merely the absence of disease or infirmity. The importance of maintaining our health and wellbeing throughout your lifetime by incorporating exercise, diet, preventative health checks, sleep management, managing mental health issues, finding ways to relax and unwind are all important aspects of our health and wellbeing. Global health is an area for study, research, and practice that places a priority on improving health and achieving equity in health for all people worldwide. Global Health research is the application of research in healthcare and practice of improving health and achieving health equity for people worldwide. Global health is the area of study, research and practice that helps in improving health conditions globally. Global health in general is regarded as initiating the health of world population. Many global health centres are increasing in the world to meet the needs of people. Global health also includes areas related to scientific research of diseases, epidemiology, and other health issues. Journal of Women's Health Care, Clinics in Mother and Child Health, Occupational Medicine & Health Affairs, Journal of Oral Hygiene & Health, Health Services Research, Health Economics, Health Education Research, Journal of Women's Health. Global Health Bioethics is a philosophical discipline related to notions of global health, moral life in community. It is the application of ethics to the field of medicine, healthcare, and safety. The diseases which can transfer to one another through different ways. Communicable diseases are also known as contagious diseases. This may mainly happen through air, contact with contaminated particles, blood, faeces etc. Cold is the best example for communicable diseases. In this disease illness, may cause by infectious agents or its toxic agents. These diseases may affect both individuals and communities. Epidemiology: Open Access, Journal of Infectious Diseases & Therapy, Communicable disease and public health, Communicable diseases intelligence quarterly report. Biosafety is to protect the people including environment from dreadful contagious biological particles. These particles may be generated out from factories or laboratories and may cause allergies, infections and hazard to human health. The discipline handling of infectious micro-organisms and hazardous biological materials may does not lead to contamination. Health care is improvement of health through diagnosis, treatment, and prevention of disease, illness, injury, and other physical and mental impairments in human beings. Health care is conventionally regarded as an important determinant in promoting the general physical and mental health and well-being of people around the world. Health education is a process which motivate and helps people to adopt and maintain healthy practices; advocates environmental changes. It helps making people aware of the health by which groups of people, learn to behave in a manner conducive to the promotion, maintenance, or restoration of health. Journal of Health Education Research & Development, Journal of Community Medicine & Health Education, Health Care: Current Reviews, Health Education Research, Health Education and Behaviour, Advances in Health Sciences Education, Health Education Journal. Public health is the science of preventing disease, prolonging life and promoting physical health. The focus of public health intervention is to improve health and quality of life through prevention and treatment of disease and other physical and mental health conditions. It is concerned with threats to health based on population health analysis. Individuals experiencing good mental health will have healthy relationships, good mental functioning and feel able to cope with their emotions and normal life stressors. It enables us to fully enjoy and appreciate other people, day-to-day life and our environment. A mental health problem also affects how a person thinks, feels, and behaves, but to a lesser extent than a mental illness.